Interview with Luis German Restrepo, U.S. Executive Director of Proexport Colombia, the government agency charged with promoting tourism, exports and investment for the fast-growing Latin American nation. Q: Colombia has become an “it destination” recently. Can you shed light on the increased interest from travelers? Q: Why are so many people traveling to Colombia now? A: Being Colombia the second most bio-diverse country in the world, the country offers activities to all types of travelers. From nature and adventure in Santander, Santa Marta and the coffee cultural landscape; to history and culture in Cartagena de Indias and Bogota; to pristine white sand beaches in San Andres, Providencia and Santa Catalina, visitors can enjoy extreme and unique activities suitable for young travelers, families and adults. In addition, Colombia is conveniently located with close proximity to the United States — a trip from Miami to Cartagena de Indias is just 2.5 hours away or 5.5 hours from New York to Bogota. Colombia has 790 weekly flight frequencies from around the world with 197 weekly flights connecting seven cities in the USA with the country. Airlifting continues growing as many carriers like JetBlue increased direct flights from New York to Cartagena and Fort Lauderdale to Bogota in 2012. In addition to the excellent connectivity, Colombia is located in the Easter Standard Zone avoiding jet lacks and allowing visitors to enjoy its tropical weather all-year round. The country has no seasons and no Visa is required to USA tourist. Overall, unique experiences, proximity to the USA, and magnificent weather have made Colombia a hot spot in Latin America you shouldn’t miss in 2013. 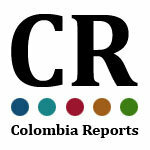 Q: What types of luxury travel opportunities exist in Colombia? A: Colombia offers a wide range of 5-start hotels to boutique hotels highly recommended by the history of the places, superb service and accommodations and exquisite cuisine. Colombia ecotourism and adventure travel sectors have attracted particular attention in recent years since Colombia is one of the world’s most biodiverse country, encompassing ten percent of the planet’s flora and fauna. With more than 1,800 miles of coastline and the third largest coral reef in the world in San Andres, the country is also a leading destination for scuba diving, rock climbing, cave exploration and rafting. Travelers no longer need to choose between high-end comfort and conscientious vacationing, with luxury accommodations at any budget. Q: I’ve never been to Colombia. What should be on my “must do” list? A: That answer really depends on your vacation style, but Colombia really has it all. If you are looking for History and Tradition: Bogota, the capital city, was declared World Book Capital by UNESCO and Iberoamerican Capital of Culture by the UCCI. Additionally, it is home of the Gold Museum featuring the biggest Pre-Hispanic gold work collection in the world. 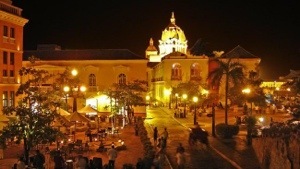 Known as “The Heroic City,” Cartagena was declared a World Heritage Site by UNESCO in 1984 and offers such sights as the imposing San Felipe de Barajas Castle, the striking and colorful Historic Downtown, incredible 300-year-old churches and top international cuisine served in choice restaurants. Not far off on the Caribbean, the Rosario Islands and the archipelago of San Andres, Providencia and Santa Catalina feature the sea of seven colors and the perfect spot to practice scuba diving while enjoying its pristine sand beaches. The Cultural Coffee Landscape seduces the visitor with the aroma of the coffee plantations and the delights of its scenery. Wide roads, tireless workers and an infinite horizon: the Earth gives us its riches – and its inhabitants their hospitality. Medellin, the city of Eternal Spring, was recently named the World’s Most Innovative City, it is also said to be one of the most beautiful cities in all of South America. As an international golf destination, Colombia provides its visitors with more than 50 challenging and amusing courses that are considered among the best in Latin America. The courses were created in magical, exotic surroundings and designed by renowned figures such as Robert Trent Jones, Gary Player, Mark Mahannah, and Jack Nicklaus. The list goes on for those seeking nature and adventure. Q: Now that we know more, when is the ideal time to visit Colombia? A: We’re lucky that Colombia’s climate is temperate year round, but there are many exciting festivals around which you can plan a trip. Pasto’s Carnival of Blacks and Whites takes place in January, The Medellin Flower Festival takes place in August, and the Barranquilla Carnival celebration, the second largest Carnival celebration in the world, occurs in March, and the most important theater festival in the world, the Iberoamerican Theater Festival in April. July, August and December are the most popular months for tourists to visit thanks to summer and winter vacation schedules.